Sometimes I frustrate myself with how much pressure I put on post-hiatus Glee episodes, but at the same time I really doubt I’ll ever change my habits. It’s totally natural to expect a jaw-droppingly good episode after several weeks away. Unfortunately, jaw-droppingly good is not a term I’d use to describe “Yes/No”, but it was still entertaining, nonetheless. For me, a big part of the problem was that it focused too heavily on adult story lines, which I never find as compelling as the students’. And then I also had issues with a lot of the adult story lines…ahem, Will/Emma, ahem. But we’ll get to all that in a bit. Let’s break it all down a bit further first, shall we? Also, scroll down to answer this poll question: What should Rachel say to Finn’s proposal? 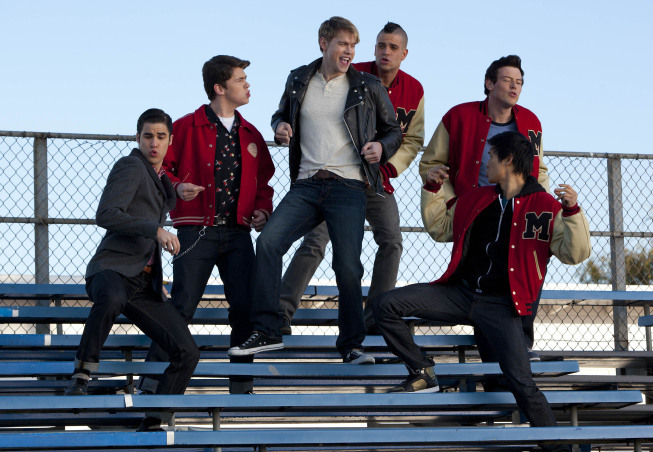 Favourite Character: The glee clubbers were pretty strong as an ensemble this week, but all my love still has to go to Artie. Not only did he make me want to dance to a song I normally can’t stand, but he was also totally fantastic in all of his scenes with Becky. I absolutely loved how he stood up for his friendship with her to the rest of the glee club, and I’m actually really hoping that the two will be able to remain friends because they were really fun to watch together, and I think it would be good for both of them to have a friend who might better understand some of their struggles. On a related note, Sue was also fabulous in this story line as well, and I adored her last scene with Becky, and how the two of them will get through their heartbreak together! So sweet. Favourite Song: While this episode was quite solid song-wise, I don’t think I’m in a rush to make sure they’re all on my iPod. Most of them really were particularly strong because of the full scenes, rather than just the music, like my two favourites, “Summer Nights” and “We Found Love”, both of which were super entertaining to watch. A synchronized swimming proposal might be ridiculously over-the-top, but it sure does make for good TV! Becky: You may be wondering why I sound like the Queen of England. It’s simple. In my mind I can sound like whomever I want, so lay off, haters. Becky: Is that a mohawk, Puckerman, or did someone glue a squirrel to your head? Coach Roz: I won this bronze damn Olympic medal in Beijing, China for Individual Synchronized Swimming. I bet you didn’t even know there was a such thing as Individual Synchronized Swimming. Becky: You should see my dance moves. My mom says I have Get Down Syndrome. Guest Star Ranking: Oh my goodness, how hilariously fantastic was Helen Mirren as Becky’s inner voice? Seriously, Becky was just all kinds of win this week, and Helen Mirren’s guest spot was the cherry on top. I also want to give some love to Coach Roz Washington of the synchro swim team, played quite fabulously by NeNe Leakes of Real Houseswives of Atlanta fame. Admittedly, I was more than skeptical about her casting announcement, but she really was super funny and I definitely wouldn’t mind seeing more of her. I feel like she and Sue could scheme well together! The Elopement & Proposals: First: Beiste got married! WOO! I mean, yes, I would’ve liked to see her relationship develop more on screen…but really, I love her way too much to complain about her getting such happiness in her life. That woman deserves love more than most anyone else at McKinley, and I’m so happy that her and Cooter spontaneously tied the knot. Second: I’ll rant a bit further about Will in the “weak point” section below, but really, that was the most over-the-top proposal ever. Not that I should’ve expected anything less – and not that I didn’t find it super entertaining to watch – but I really do wish that Will had come up with his own proposal for Emma, rather than depending on the kids to do the heavy lifting for him. Still, it obviously wasn’t a big shock that Emma said “yes”…I’m only now wondering how much of the actual wedding planning we’ll see, how soon they’ll be setting the big day, and how many things can go wrong before they get there. 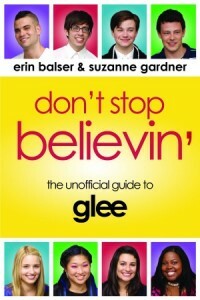 Third: Should’ve stopped when you were (somewhat) ahead, Glee. I saw the Finn/Rachel proposal coming as soon as the scene started, but I wish the episode had just ended on Will and Emma! Message to Finn: Proposing to your high school sweetheart is not the answer when your life is crashing down around you and your future is terribly uncertain! Plus, Rachel is not the marrying young type. We all know how important her Broadway dreams are, and as much as she loves Finn, I can’t see her staying in Lima for him. What would she do – work the front desk at Burt’s autoshop? It’s just not plausible to me that Rachel would say “yes” based on what we know about her character…but the show could still throw us a curveball. I only hope that if she does end up saying “yes”, that there’s some big twist involved with it that I’m not expecting. Because the Rachel I know shouldn’t be saying “yes” to Finn. But what do you think? This seems like an appropriate time for a poll, no? Check out my glee blog!